1. 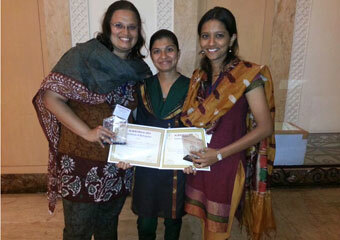 Dr. Rashi Goel, Assistant Professor, won first prize in Essay competition on- ‘Practice of Hand Therapy- Indian V/s Global Scenario’ at 4th Annual National Conference of Society of Hand Therapy, India (SHT- I) held on 12th and 13th December, 2015 at B. J. Government Medical College and Sasoon General Hospital, Pune. 2. 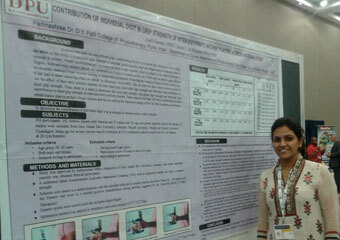 Dr. Rashi Goel, Assistant Professor, gave oral presentation titled-: “Psychometric properties of Pneumatic Squeeze Bulb Dynamometer in measuring grip strength, endurance and their correlation with hand anthropometry.” at 4th Annual National Conference of Society of Hand Therapy, India (SHT- I) held on 12th and 13th December, 2015 at B. J. Government Medical College and Sasoon General Hospital, Pune. 3. 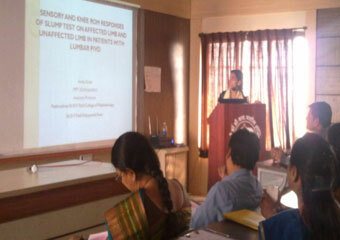 Dr. Amita Aggarwal, Assistant Professor, gave oral presentation titled:- “A Correlation Study: The Relationship between Body Mass Index & Upper Body Muscular Endurance in Physiotherapists” at 4th Annual National Conference of Society of Hand Therapy, India (SHT- I) held on 12th and 13th December, 2015 at B. J. 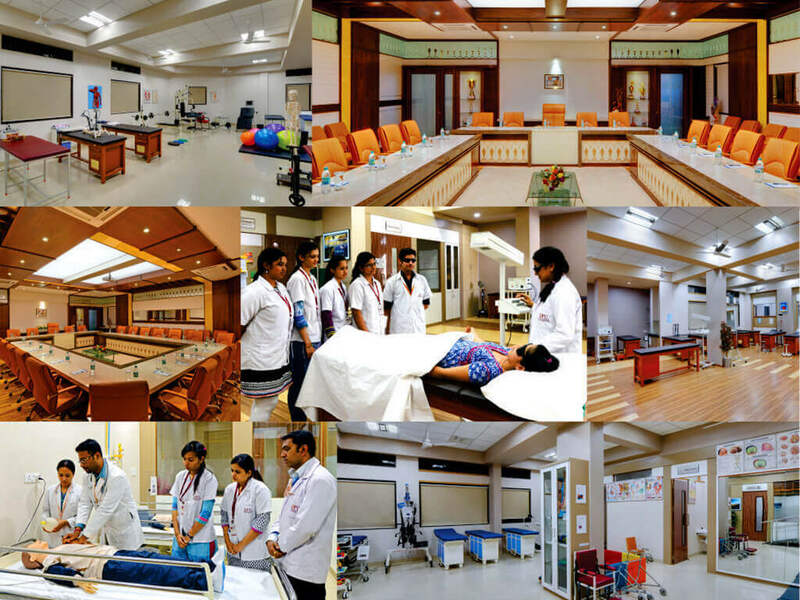 Government Medical College and Sasoon General Hospital, Pune. 4. 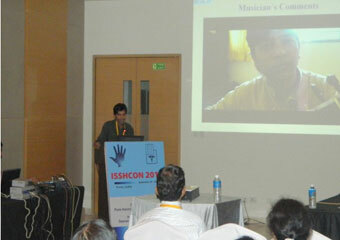 Dr. Ajay Malshikare, Assistant Professor, gave oral presentation titled-“Screening of Performance Related Upper Limb Injuries Experienced by Indian Musicians” at 4th Annual National Conference of Society of Hand Therapy, India (SHT- I) held on 12th and 13th December, 2015 at B. J. Government Medical College and Sasoon General Hospital, Pune. 5. 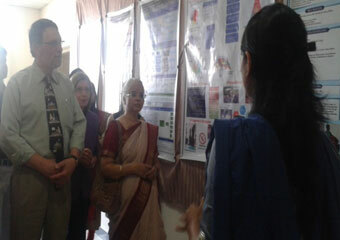 Dr. Roopa Desai, Assistant Professor, presented a poster titled- “Effectiveness of Pain Release Phenomenon in DeQuervain’s Tenosynovitis: A Case Study.” at 4th Annual National Conference of Society of Hand Therapy, India (SHT- I) held on 12th and 13th December, 2015 at B. J. Government Medical College and Sasoon General Hospital, Pune. 7. 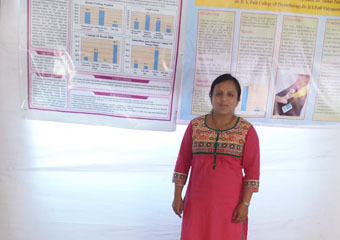 Dr. Reema Joshi, Assistant Professor, presented a poster titled “Awareness Of Breast Feeding Techniques Among Health care professionals -cross sectional study” at 2nd National conference on WOMEN HEALTH “Challenges and Solutions” held on 28th and 29th November 2015 in Pune. 8. 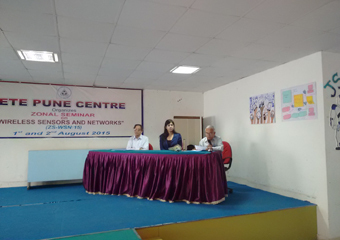 Dr. Manisha Rathi, Professor presented a seminar on “Post Natal Rehabilitation” at 2nd Pune Physiocon 2015-State level physiotherapy Conference organized by Nobel Hospital, Pune on 5th 6th Sep., 2015. 9. 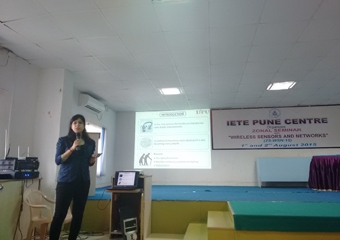 Dr. Rashi Goel, Assistant Professor gave a platform presentation on “Traumatic Brachial Plexus Injury” at 2nd Pune Physiocon 2015-State level physiotherapy Conference organized by Nobel Hospital, Pune on 5th 6th Sep., 2015. 10. 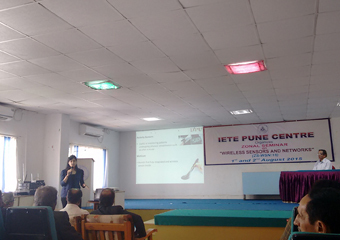 Dr. Venus Pagare, Assistant Professor was invited as a speaker in Zonal Seminar on 1/08/2015 at IETE VSPM,Wagholi organized by Engineers forum. 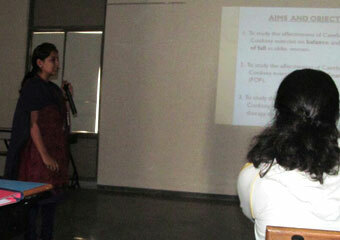 Topic was Wireless Sensor Network. 1. 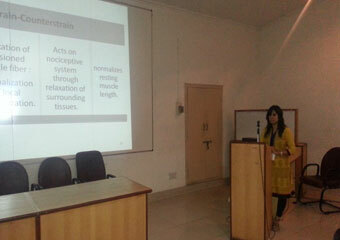 Paper presentation by Dr. Venus Pagare (PT), Assistant Professor at International conference on musculoskeletal and manual physical therapy, 3rdto 5th July 2014, Sri Ramachandra University, Chennai. 2. 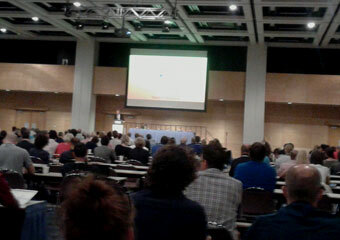 Poster presentation by Dr. Aarti Sareen (PT), Assistant Professor at FIMS XXXIII World Congress of Sports Medicine- Prevention to Performance, 18th to 21st June 2014, Quebec City, Quebec. Canada. 3. 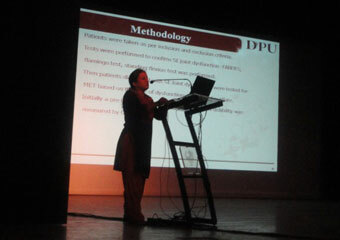 National Conference of “Electrophysiology and Neurology trends in Electro diagnosis and Research ",D.Y.Patil University,Kolhapur. 4. National Physiotherapy Conference "Physio Accord 2014", Bangalore, 17th - 18th Jan 2014. 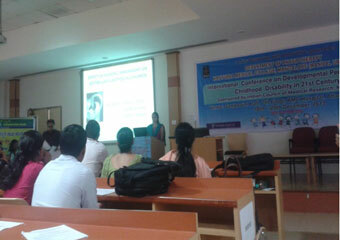 1. International Conference on "Developmental Pediatrics & Childhood disability in 21st century".Kasturba Medical College. Mangalore. 18th - 20th Dec,2013. 2. 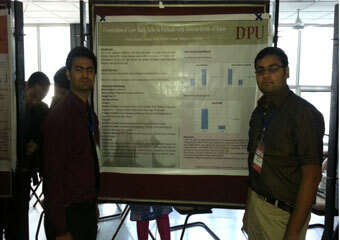 2nd international conference of "physical therapy", AIIMS, New Delhi. 14th - 15th Dec 2013. 3. 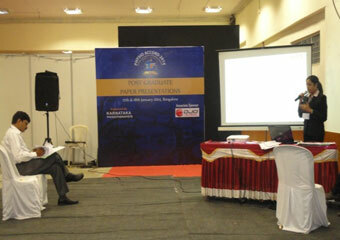 7th "Gujarat State Conphycs 2013", Gujarat.18th -19th Oct 2013. 4. 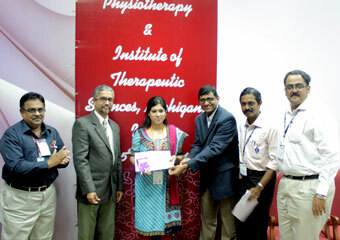 Saveetha stride‘13, "International physiotherapy conference", Thadalam,Chennai. 18th - 19th Oct 2013. 5. 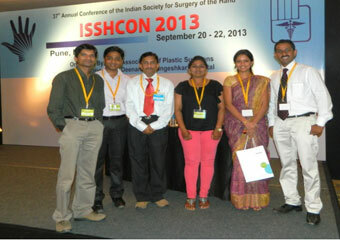 37th annual Conference of the Indian society for "surgery of the hand ISSHCON-2013".Pune. 20th -21st -22nd Sept 2013. 6. 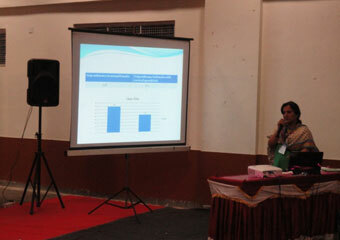 51st National Annual conference of "IAP.Goa". 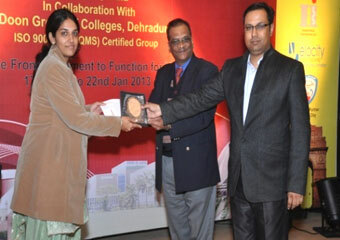 22nd -23rd Feb 2013. 7. 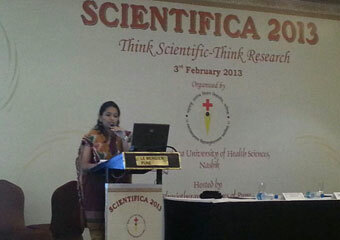 "Scientifica 2013", Pune. 3rd Feb 2013.